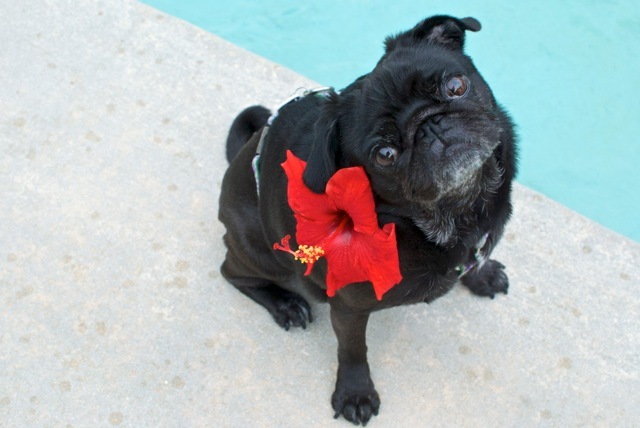 The palm trees, the pool, the balmy glory…everything that is pug perfect…it couldn’t last forever. Well, at least not this year. 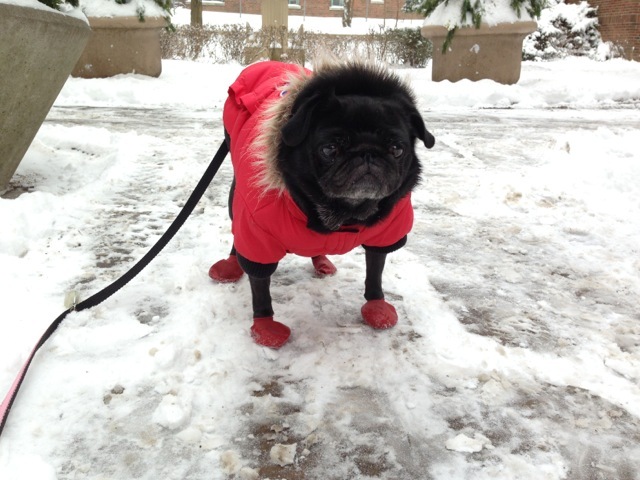 …to a fluffy red parka with booties, and a pug who refuses to make eye contact with me. The weather shock was just as huge and painful for both of us, but I’m the one left carrying the guilt and blame for bringing us back into this Hoth-like frozen landscape. Someone seems to forget that I’m the one who also helped us escape to the warmer climate in the first place. Ah, she breaks my heart. Looks like I’ve already started to save my pennies for the next trip down there. Well. I guess I had better make up for this with a few pug-focussed adventures this week. Hmmm. Now what shall we get up to, Pug? Aww, how cute! All the white stuff disappeared here this morning. We aren’t so sad to see it go, though. It created quite a stir here in Atlanta. Stay warm, friend! Much love, The Scottie Mom. Mama says I should be used to it by now, Scottie Mom, but I’m a delicate little pug flower, and I don’t *want* to get used to it. Stay warm, as well! 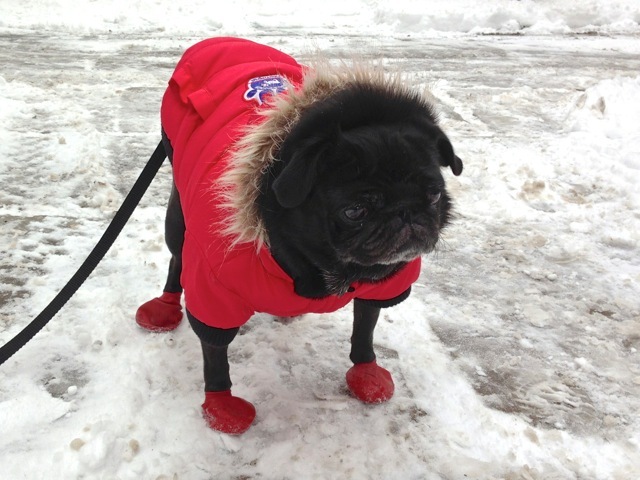 Happy to send recommendations on coats if it stays cold down there! Lola, your Mom has a legitimate point although if I could get out of this crap I wouldn’t be pleased about being dragged back in it either!! I think treats are in order!! By the way, I much prefer the hybiscis to those red booties!! Gampy – mama tortures me. And now it’s SNOWING outside! I much preferred my puggie pina coladas to this. Too bad we can’t bring dogs into the movie theater…. Oh, LP. I’m so sorry. Not fun. I think I’d have the same look on my face. What’s that saying…better to have felt the warmth of the sun than never felt it at all? That saying wasn’t uttered by a PUG, Aunt Christy!